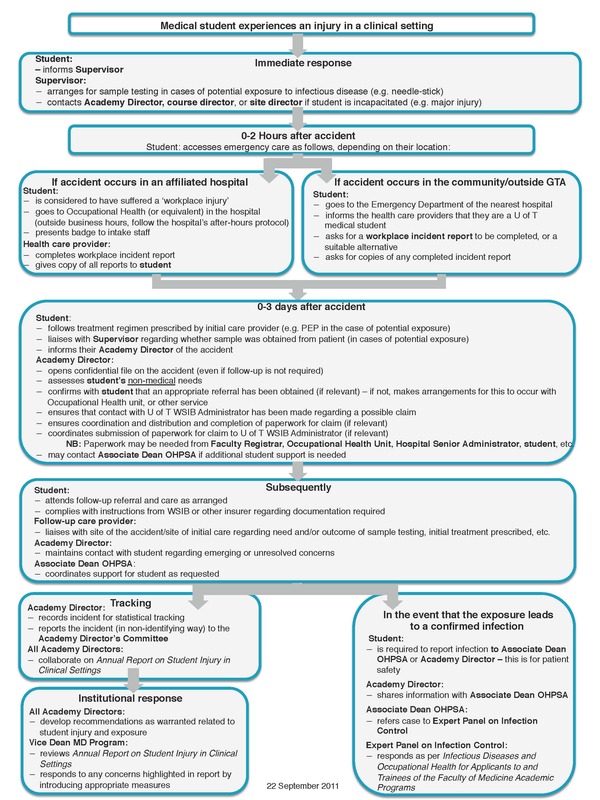 If you experience an injury in a clinical setting, please review the following flowchart which outlines key steps and responsibilities. Also, see information regarding how to access health care. Download the workplace injury flowchart (PDF). For detailed information, see the Incidents of medical student workplace injury and exposure to infectious disease in clinical settings (PDF) protocol. As a resident of Ontario, you are entitled to receive health care anywhere in the province. If you think that you may have to miss school because of your injury or illness, use the Absence Regulations (PDF) to find out what you need to do and who to contact. The sooner you contact the MD Program, the better, especially if you are likely to miss an exam or other assessment. 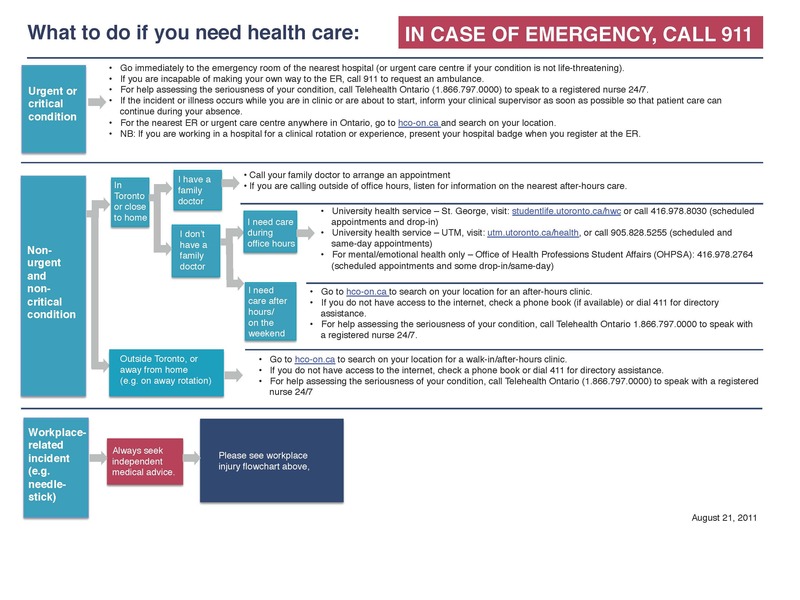 Download the accessing health care flowchart (PDF). For information on how to locate health services if you are not already in a hospital setting see the Undergraduate Medical Education Statement - Access to Preventive, Diagnostic, and Therapeutic Health Services for Medical Students (PDF). If you have questions that aren't addressed here, contact your Academy Director, Academy Med Ed Office, or the Associate Dean, Office Health Professions Student Affairs.